KLRCA is the region's premier arbitration centre. Recently. the International Council of Arbitration for Sports (ICAS) entered into an MOU with KLRCA, effectively appointing KLRCA as the official host of an alternative hearing centre for the Court of Arbitration for Sports (CAS). 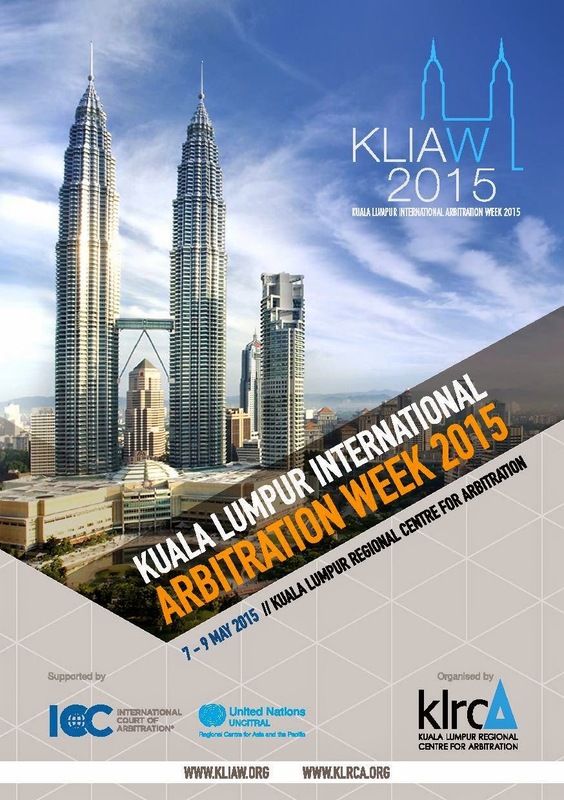 KLRCA will be organising and hosting the International Arbitration Week from 7th to 10th May 2015. Held in conjunction with Centenary Year of the Chartered Institute of Arbitration (CIArb) UK, the Arbitration Week will see the convergence of top legal minds from around the world who will be speaking on various intriguing arbitral topics. 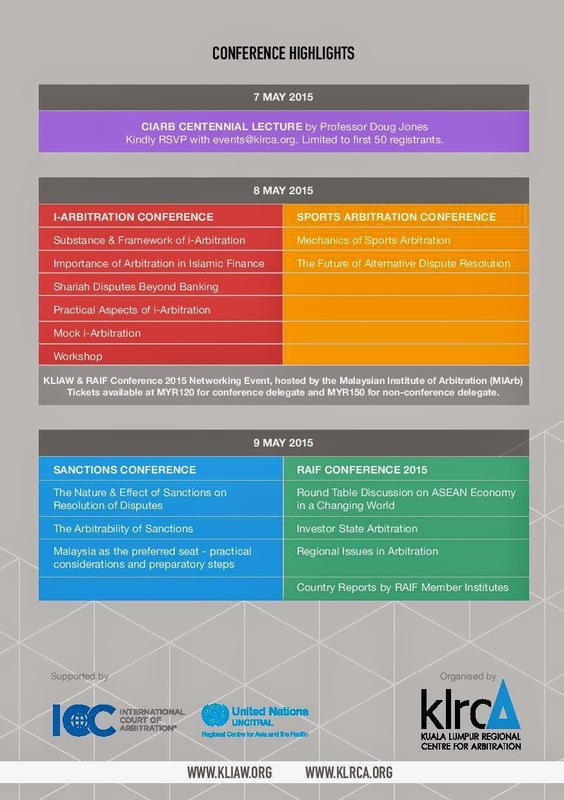 Within this Arbitration Week is the Sports Arbitration Conference. This Sports Arbitration Conference, themed “Beyond Sports” will have participation from international delegates comprising of prominent interested individuals and parties with keen interest in Sports Law and the sports industry. The International Arbitration Week will provide an international platform for interested parties and relevant stakeholders of international arbitration to share their views and discuss on the current fundamental issues and critical challenges faced by the international arbitration community, and to chart out a roadmap for a truly effective, independent and sustainable international arbitration regime.